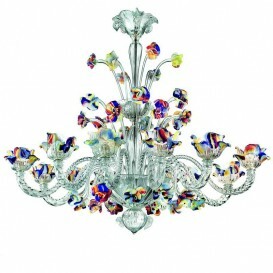 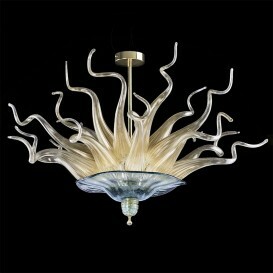 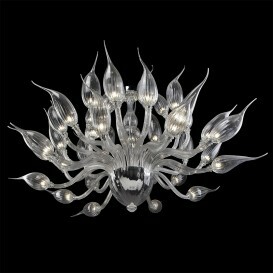 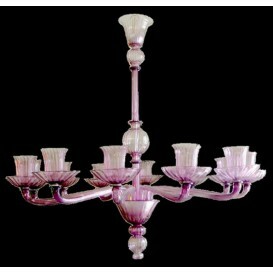 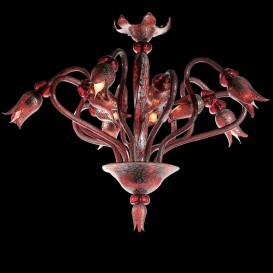 Beautiful Venetian glass chandelier in transparent glass with gold decoration of leaves and flowers. 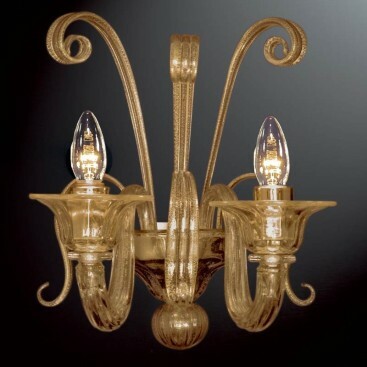 It has a round shape on the edge of the lamp-holders. 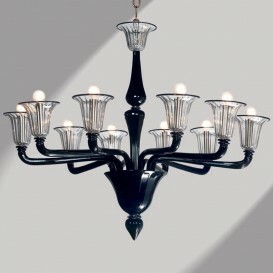 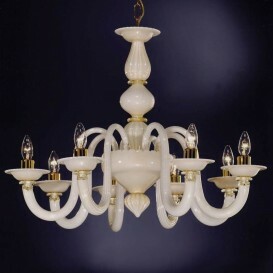 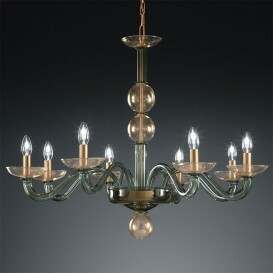 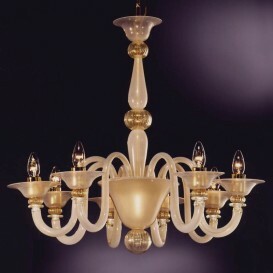 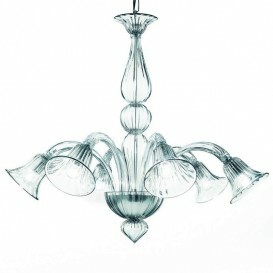 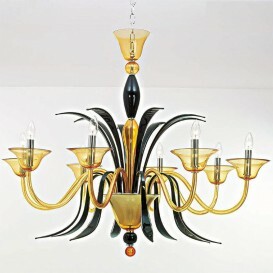 A soft together with contemporary Venetian glass chandelier with outstanding layout that will offer your home the supreme in style and refinement. 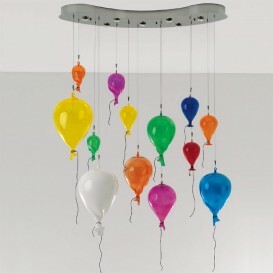 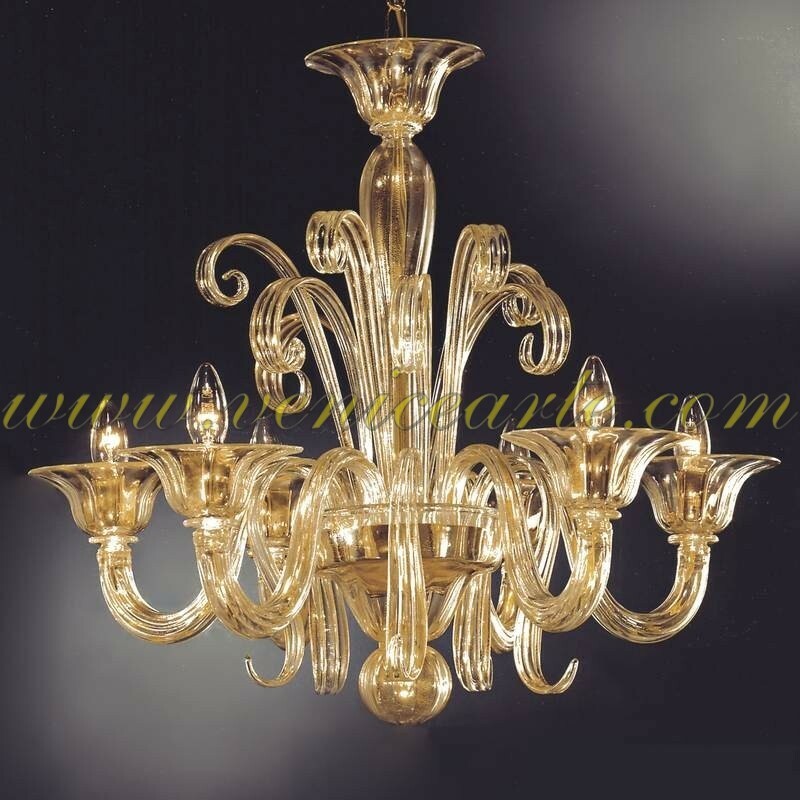 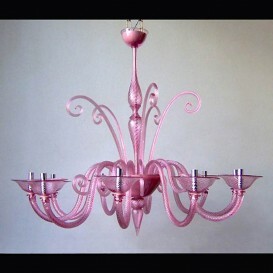 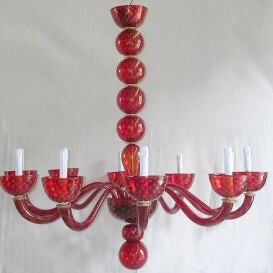 The artwork of Murano glass is a really challenging process that is definitely mastered by just one or two people, who have the expertise and devotion to make the most elegant chandeliers. 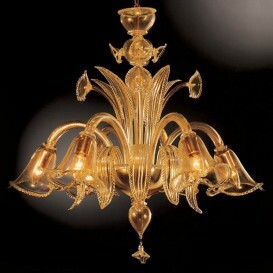 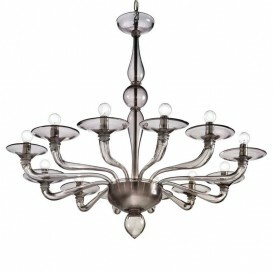 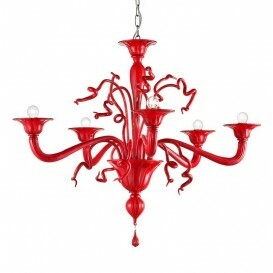 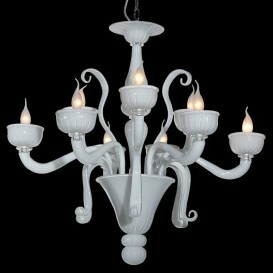 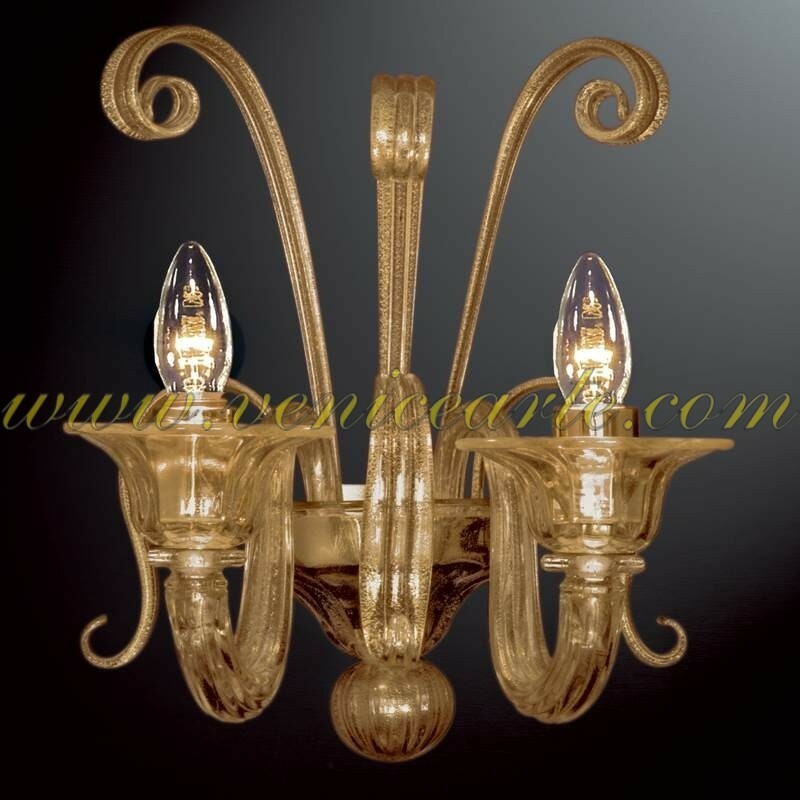 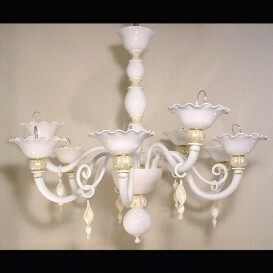 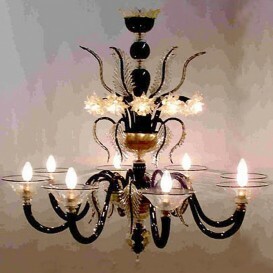 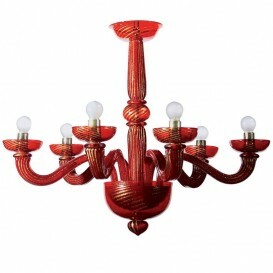 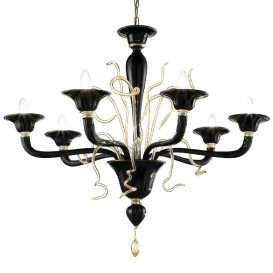 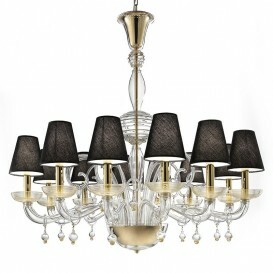 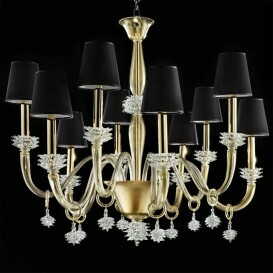 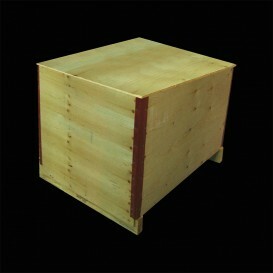 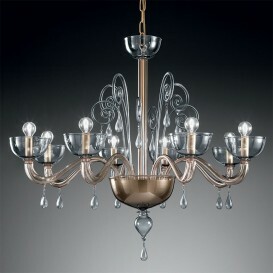 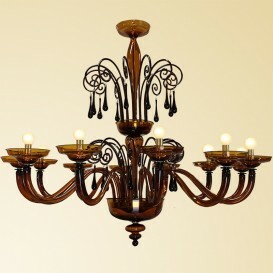 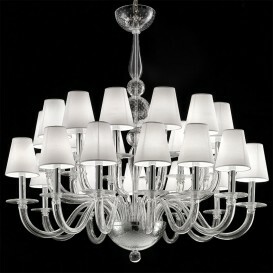 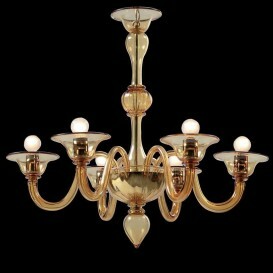 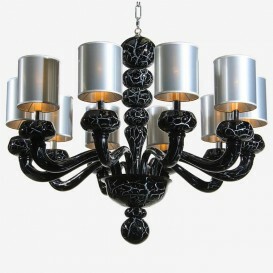 Despite the fact that it is made nowadays it still retains the legitimate Venetian style.